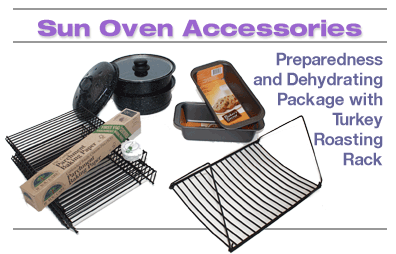 This Accessory Kit is perfect for those who have already purchased the Sun Oven and would like to purchase additional accessories to upgrade it to a dehydrating oven. 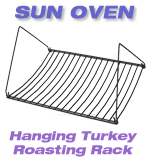 Turkey Rack mounts in place of the levelator and accommodates up to an 18 pound turkey in a baking bag. The racks are steel wire coated with E-coat (black coating).